Since 1907 the royal coat of arms has featured a gold lion rampant wearing a coronet. The blue background (‘field’) is scattered with vertical golden rectangles (‘billets’). ‘Scattered’ means that the number of rectangles is not fixed and that some of them appear only in part. The shield (‘escutcheon’) is supported by two lions rampant facing each other and surmounted by a royal crown. A scroll below the shield bears the motto ‘Je Maintiendrai’ (I will maintain). 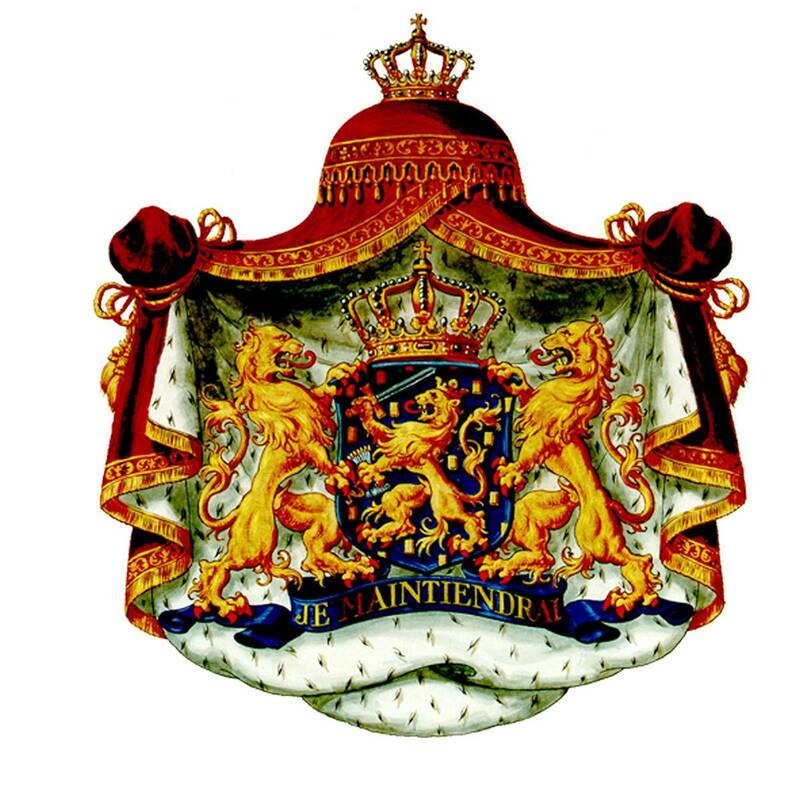 The coat of arms of the Kingdom of the Netherlands.